Message Boards - Boba Fett Fan Club → Film and Television → Boba Fett in "Star Wars: The Clone Wars"
Re: Boba Fett in "Star Wars: The Clone Wars"
But hopefully Boba won't be a total bust in the new series. I hope they choose a good voice for him. $20 says the cast is people we've never heard of. or at least somebody whose voice is familiar. I love TPM, it's in my top four out of all the movies. The animation may be expensive, but if it looks as awful as that they might wanna, you know, start being cheap or something cause there were some pretty wonderful cartoons that looked great. Far better than this. And, yes, the plot is just stupid. And I am just glad it's not live action, cause if it was it would 100% be the doom of us all. I can only thank God that it's only some cruddy animated thing. Bare in mind that this animation is designed to fill in more of the story from the Clone Wars shorts, and as such Lucas decided to keep to the look of the shorts but make it better. The style is strange I'll grant you, but I hardly think it'll be the death-knell of Star Wars. At the moment we don't know the story, where Lucas intends for it to go, how it ties together with the films or the reasons for such things as Anakin's Padawan. All will become clear in due course. Things that look strange, wierd or stupid now may suddenly become the most logical, intelligent and brilliantly thought out idea, concept or character ONCE we know the story. As to the faces of characters, the reshaped look of helmets etc. it's simply a stylised version meant to compliment and expand upon the shorts not replace them. The animation with the Clone Wars shorts was unusual (to say the least), and one or two of the episodes not well written or simply unbelievable (Mace Windu fighting the droid army AND the "floaty-stomper-thing-of-doom") but it doesn't make watching them totally unbearable or mean that people approach me when I'm out trooping in armour and tell me "how much the Clone Wars shorts animation ruined Star Wars for them!". Yes the CG animation in this new Clone Wars is different, not what we have come to expect from CGI films such as Final Fantasy: The Spirits Within or The New Captain Scarlet but is that really so bad? As to the story, who knows? This could be the best thing Lucas has written since ANH. The story is what you make of it, I may like it whilst "Bob" just down the road thinks it's worse then Starship Troopers 2! (an impressive feat of writting if it is!) You can't please everyone all of the time as the saying goes. I know people that hated the whole "removal of the mystery behind the mask" of Boba in Ep II, I mean really HATE it, yet I've always enjoyed Ep II and knowing the origins of my favourite Star Wars character. We know where he comes from now, when back before Ep II was released he was the faceless hunter that stood up to Vader. I'm looking forward to the live action TV show due for release '09/'10 which Boba will be in too. Boba's appearance in the Clone Wars animation will simply go some way to explaining what happened between Episode II and his return to the screen in the live action show (yes I have read the Young Boba Fett books). And remember folks Lucas HAD intended for Boba to be in Episode III shooting Mace (I have the storyboard of him doing it) until someone pointed out he'd be a little too young to do it, so I hardly think Lucas is going to ruin Boba in this animation. Until the animation is released none of us can say if it'll be good or bad, awful acting or great voice casting, contradictory to established Star Wars canon or expertly filling in the gaps. And yes, there will always be some that like it and others that hate it, just like there are those that would rather the Prequels were never made. Let's give it a chance and see, we MAY just be pleasantly surprised. "Lucas HAD intended for Boba to be in Episode III shooting Mace (I have the storyboard of him doing it) until someone pointed out he'd be a little too young to do it, so I hardly think Lucas is going to ruin Boba in this animation." Yes I saw that too and was like "so what if he'd was 13-ish he's a warrior who's had a hard life of growing up on his own for the last three years!" Miba, the animation is not supposed to look like the "real" thing. What Lucas and the animators are trying to get across the "feel" of the characters. Also Anikin IS a jedi knight and seeing that he's a amazingly talented jedi why wouldn't the console assign him a student? If you ask me it makes sence. two things, i would like to see the storyboard if you have a scanner. i have never even heard of that. the other, the problem w/ anakin having an apprentice is just the fact that it is crammed into an already established story. Personally i think the look of series isn't too bad, my problem is with the "Anakin apprentice" thing. In no way, shape or form does it fit into the story, GL is gonna have to do a heck of a job to get me convinced that Anakin should have an apprentice. But would he not, in his arrogance, believe himself worthy of an apprentice? True! See how this could work? i see what you guys r getting at, and for the record i think the animation looks tight-im anticipating the movie/show. but the problem w/ the anakin thing is its sloppy story telling. all very well documented, and then they mince in a apprentice. this dude is the multitasker from hades. ibut having said all that, i do think it will be good, i mean they cant mess it up w/ too much greenscreen or shoddy acting. it also sorta leads up to The Force Unleashed, showing once again that he felt the need of an apprentice. 1. So the "feel" of Anakin is that he's supposed to have a neck that's too long to actually support his head, and that he has weird shoulders and chest and spikyish hair that's unlike his hair from the movies? 2. Which console? I mean, if a gaming system can assign students, I want one! Or did you mean council? If so, then I don't think they would have assigned him one because they were already iffy about him. I don't think they would have risked giving him an apprentice. I can't say I like the animation style, like many of others have said. Er, so how old is Boba during "The Clone Wars" again? Like 15-16? So we can assume that by this age he's doing free lance bounty hunting? No, during the Clone Wars he's 11 and 12. Cause he's ten in AOTC and turns 11 a month or so afterwards. Wow that was low. If you want to be my spell check thats fine but most of the time it's just a red line under the misspelled word not a sarcastic remark about gaming. I can tell your not the artistic type so I'll leave you to your seething. There are a lot of things that are cannon that I don't like too *Cough* Bloodlines *Cough* but we have to take them in stride. I see no resemblance between those pictures other than obvious things like they both have two eyes, one mouth, one nose, hair. 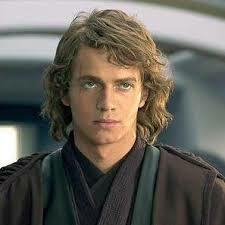 Oh, and the CW-Anakin seems to be lacking a scar..... Though that could be before he gets it since he gets it during the regular CW cartoons. And, btw, I showed the picture of CW Anakin to my non-sw-fan fiancee who's first words were "Who's that?" And I told him, "It's supposed to be Anakin," And he said, "What is this, like someone's ROTS Quake 2 mod or something? Maybe Half Life?" Oh well I guess you have chosen to believe what you want and it is pointless to try and convince you otherwise.